A few highlights of current OCTR research efforts. The Geriatric Oncology Program brings together expertise from across UNC to ensure the highest quality cancer care for older patients and to conduct research that furthers understanding of the factors affecting cancer treatment in the elderly. The Strata Trial is a precision oncology collaboration structured as an observational master screening protocol with the aim to match patients to genomically-guided therapeutic protocols and/or approved therapies. The UNC IMmuno-Oncology PAtient Centered Translational research (IMPACT) Biorepository involves the collection of tumor tissue and blood, as well as data (e.g., demographic, clinical, and questionnaires) from patients attending Oncology Clinics at UNC Hospital and undergoing immune therapy through participation in a Merck immune therapy trial at UNC. The goal of this Biorepository is to collect biospecimens and data to allow for correlative tests to be performed that can be used as potential biomarkers to evaluate response to these therapies or that can determine how to use other therapies to enhance the clinical response to patients receiving this treatment. 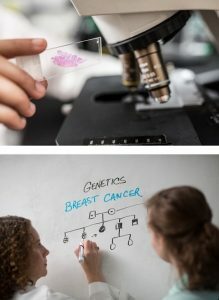 The UNC Metastatic Breast Cancer Clinical Database tracks patient demographics, pathology, evolution to metastatic disease, metastatic treatments, and clinical trial enrollment since 2012; the primary purpose of the database is to help the UNC breast team make clinical decisions for treatment of breast cancer patients at UNC. The database itself does not inform research at UNC. However, use of the clinical database, a rich data source, for research is permissible with an IRB approval and approval from the OCTR. The Breast Tumor Donation Program is a special program that allows metastatic breast cancer patients to posthumously donate tumor tissue for research.